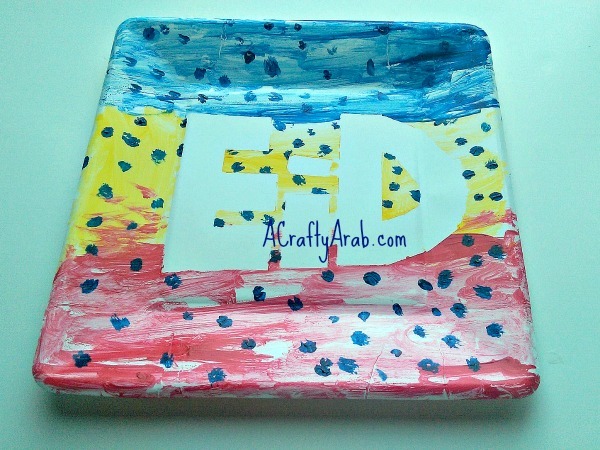 Our Eid Decorative Plate craft today was inspired by two of our crafts that we’ve done in the past, the Ramadan Moon and Star Tutorial, where we use a paper plate, and our Painters Tape Canvas Art, where we use painters tape. 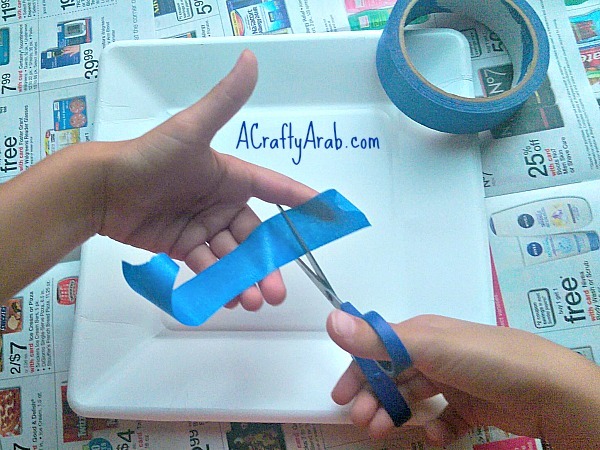 Start by cutting your painters tape in several small pieces. 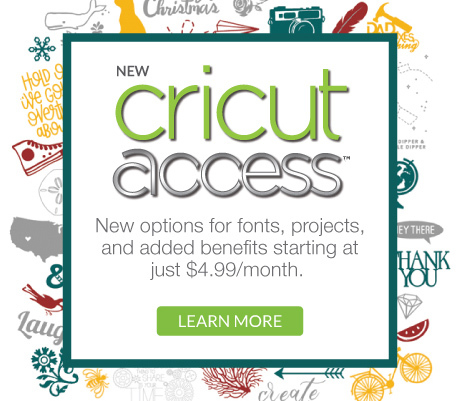 Make the cuts as straight as possible. 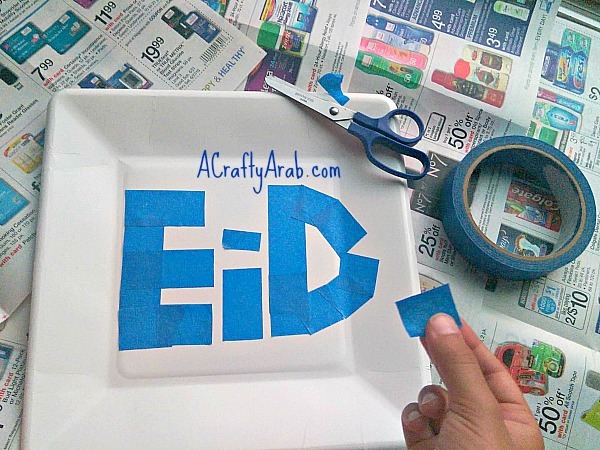 Write out the letters EID with the tape in the middle of your paper plate. 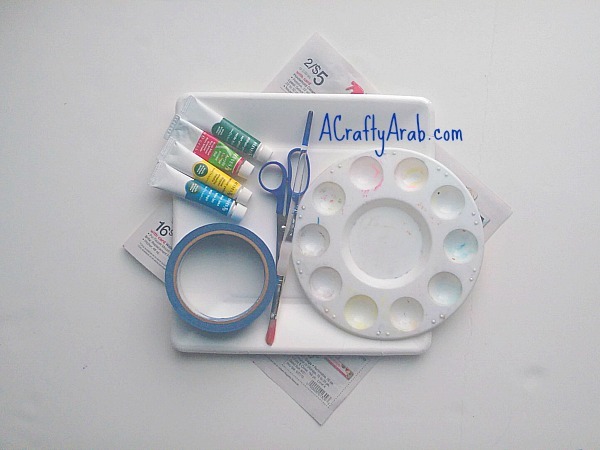 Paint your plate in a stripped pattern, or anything really, it’s your plate! Add some polka dots too! 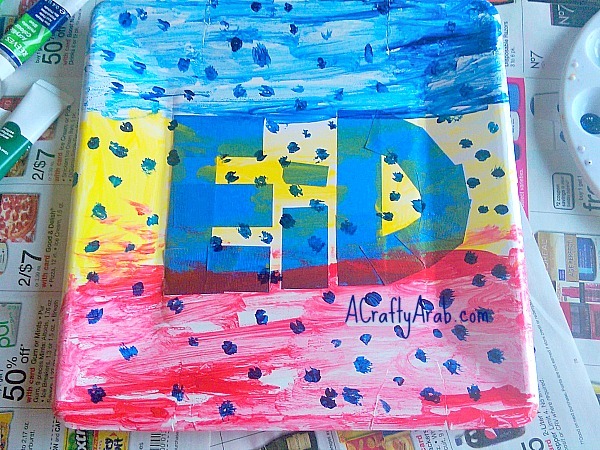 Wait a few hours for the paint to dry and take off the blue tape. Your plate is done! 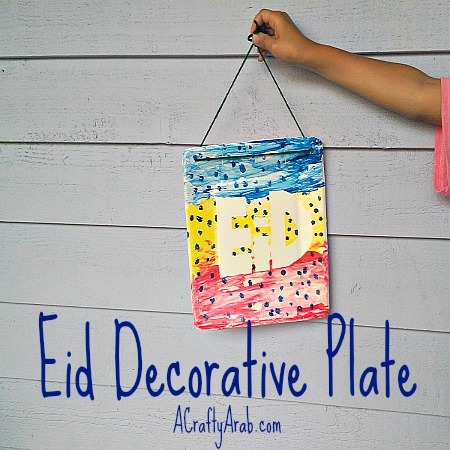 You can use it with wrapped food (like individually wrapped candy) or have it as a decorative center piece at your Eid party table. We decided we wanted to hang ours in our kitchen. 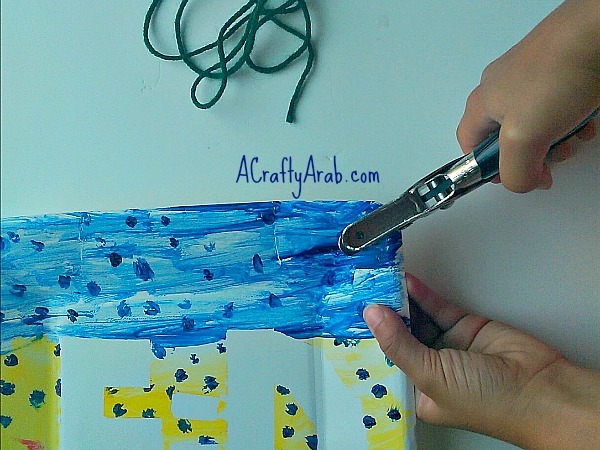 We used a hole punch to add two holes to the top corners and tied on a string. Our beautiful plate is ready to hang! 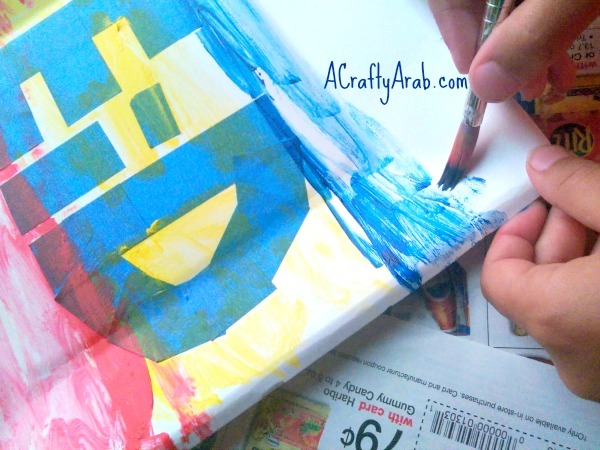 Visit A Crafty Arab on Pinterst to learn more about Ramadan.